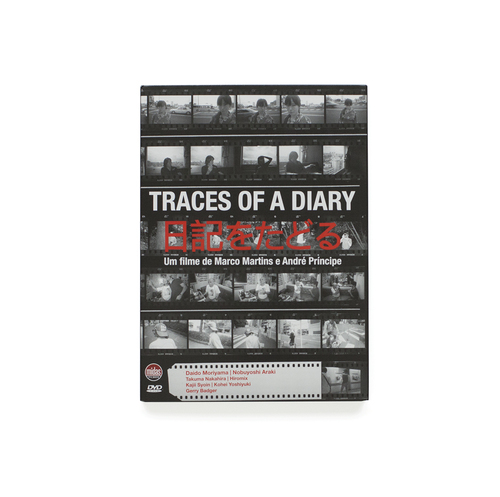 Traces of a Diary is a cinematographic travel journal. Through a series of encounters with some of Japan’s most significant photographers, the directors reflect on the nature of creating images, telling stories and the diaristic process. Filming with two 16mm Krasnogorsk 3 wind-up cameras, Martins and Príncipe value the rawness of spontaneity and contingency over studied treatment. Both a diary and a reflection on the diaristic genre. Traces of a Diary is a personal view on some of today’s most important photographers and the city they photograph. With Daido Moriyama, Nobuyoshi Araki, Takuma Nakahira, Hiromix, Kajii Syoin, Kohei Yoshiyuki and Gerry Badger.